Prepare. Climb. Reach Summit. Repeat. For the team of Jupiter Ambrosia Productions, summits are tackled and conquered year after year. From the Governor’s Global Climate Summit and Border Governor’s Conferences a decade ago to last year’s Climate Summit in Paris and Davos and The Special Olympics GenUin Summit in Los Angeles, the team has guided great leaders to decisions of impact through their careful curating and controlling the production message. 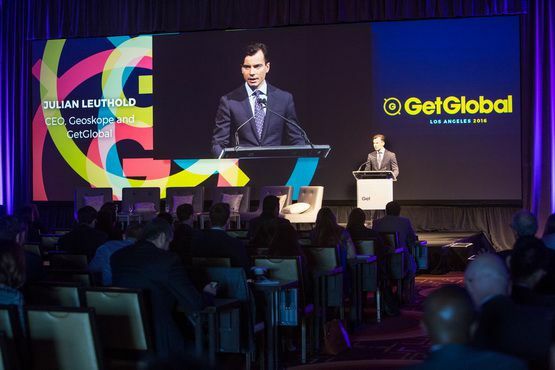 So when a business leader such as Julian Leuthold, owner of GeoSkope, wanted to create Get Global, a global summit in Los Angeles, he of course turned to the team at Jupiter. 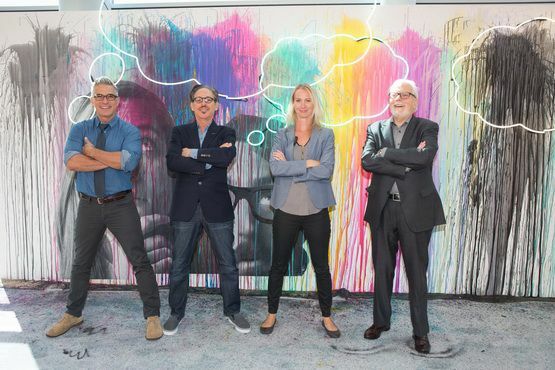 For a year and a half, the team worked on the summit, helping it to build audience, and create once-in-lifetime conversations between illustrious speakers seeking to expand to foreign markets. 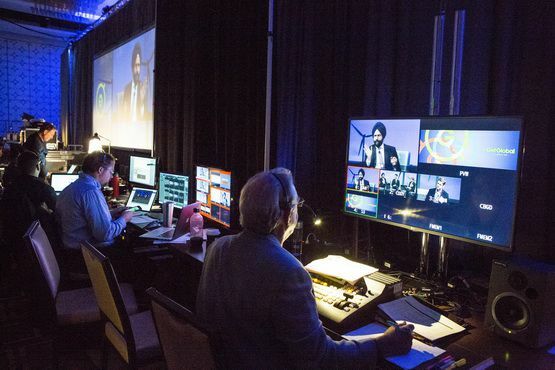 Bendix and Cloteaux worked with the team at Get Global to prepare the visuals and assets for more than 100 speakers over the two days. 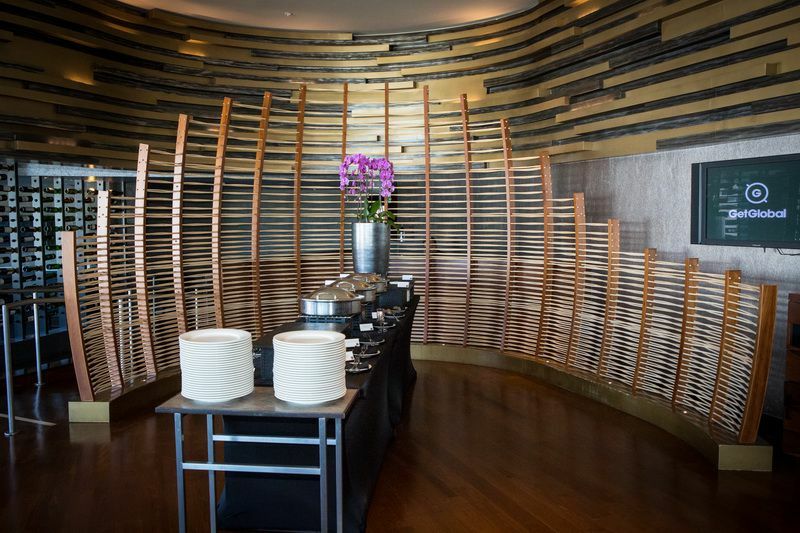 The conference also featured an event at the Hubculture pavilion and a lunch at WP 24 for VIPs hosted by Dubai. Bendix concurs that with a first-time event, finding sponsorship and attendees is one of the challenges. He and his team have a web of contacts and marketing strategies and the event was well-attended. The main ballroom featured a huge, immersive design with a 15 x 30 foot screen with high definition and stellar audio so guests could feel the impact of the programming and messaging. 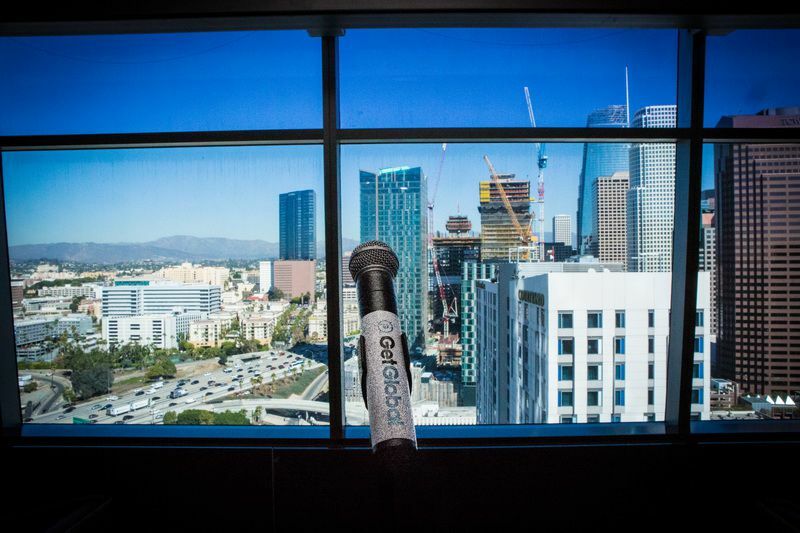 Overlooking the city of Los Angeles from 24 stories high, the international group had a vantage point for what the future of a global world would be. As a skyline full of cranes prepared the city to rise higher, Jupiter and GeoSkope were laying the ground work for the global future, and for Get Global 2017.